To the extent that I'm able to figure out what you're trying to say, this sounds like yet another example of why getting involved with coworkers is generally a bad idea. I'm sure there are plenty of other beautiful, "curvy," giggling blonds you could date outside of your work place. There is a long tradition in hospitals of nurses getting screwed over by physicians they dated through work, so I can certainly understand why her fellow nurses were skeptical and cautioning her against this. They were right. Where did you ever get the idea that nurses and physicians are "best friends"? Hmm. I can't really make out what you are trying to say here, but the gist of it is a nurse broke your heart I think. Not really pertinent to this board other than a cautionary tale against dating in the workplace. I hope you heal and recognize people are people and all sorts of people are nurses. This one encounter is not representative of what a professional and collegial relationship will look like. Chalk it up to a lesson learned. Don't date at work. I'm assuming you are hurt and venting as the post is a bit hard to follow and I'm not sure what pages or "stupid questions" have to do with any of it. As a previous poster stated, it's never a good idea to mix work with your personal life, especially dating. This goes for any job or profession, not just the doctor/nurse roles. Ones personal emotions should not be a factor in our work performance and allowing these feeling of conflict to affect how we manage a patient's care is more than just unprofessional-it shouldn't even be a factor. Let's get something straight here. The stress didn't cause this exceedingly unprofessional tantrum. You chose this behavior. Be an adult and take responsibility for yourself. You would do better to go to work in order to work. Your employer is not paying you to pursue personal relationships on the job. Your patients should be your professional concern while you are at work. Female companionship is something you can attend to on your own time. One expects that a person who has graduated from medical school would have a basic command of the English language. Not evidenced in this post, so we wonder if this is even serious, or just another spoof from a pranking SDN member. Can't speak for anywhere else but where I work a nurse would be strongly cautioned against dating a coworker, MD or not, for HR reasons. They can't forbid it but it never looks good. I know they are more lax about people dating if you work in separate parts of the hospital, but if you work in the same department it can be a problem. Even if it isn't officially a problem as a nurse I wouldn't date a doctor that I worked directly with. I'm sure the experienced nurses warned her what this could look like. 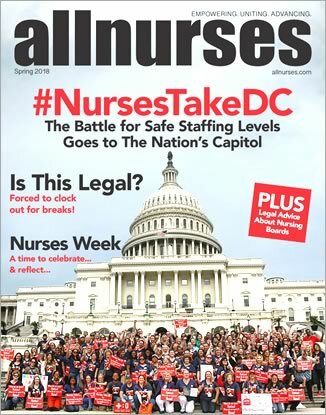 What would people say if you responded to that nurse's pages more often than others? Or if you came to assess her patients first? It's just too messy. It's fine to date a nurse but try another hospital. The doctor/nurse couples I know were married before they came to our hospital and they usually work in different areas. I do know of one case where a nurse and resident dated in the same department and got engaged. It became uncomfortable for the nurse and she switched floors since her fiancee was still working there. You answered your own question. This is exactly why it's not a good idea. I'm sure it became uncomfortable for her with people griping about why "her boyfriend" hadn't answered pages. She was probably mortified when your supervisor switched your shift in response to all the drama. She was probably worried she'd get called into HR. I know I would be. I love where I work and wouldn't want there to be awkward feelings for my coworkers if they thought I was sleeping with the MD they were trying to get a hold of. See why it's weird? Don't crap where you eat. A free piece of advice; if you engage in an intimate relationship with a coworker then trust me, your other coworkers will always find out. Every single time. That's as reliable as Newton's universal law of gravitation. The two of you casting googly-eyed, smitten looks at each other as you move around your workplace with a cloud of pheromones wafting in your wake is not invisible to other members of the human species. It will get noticed. I think that the nurse-MD relationship works best if you keep it professional. As others have said, it's best to keep your love life separate from your work life. Again, I think it's a lot easier to maintain a professional relationship with someone when you're not romantically/intimately involved with them. That kind of relationship changes the dynamics between the two people involved, but also the dynamics with coworkers (of both parties). You're right, tensions and unresolved conflicts between members of the healthcare staff risks negatively affecting patient care/safety. Just one more reason to remain strictly professional at work. I'm having a bit of a hard time taking your post seriously because to be honest with you it reads a bit like a Harlequin novel sprinkled with a pinch of nurse bashing for flavor, but in case it's legit I'm sorry that the relationship didn't work out and I wish you happier times ahead.